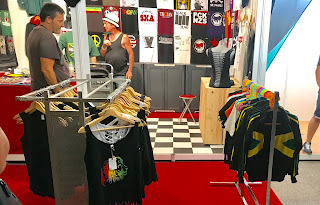 In the World that Jamaica Made: The Rototom Edition | Kam-Au Amen & Co. These pages are the expressions of business investor Kam-Au Amen. I have a philosophy that embraces wealth creation and here is where I share some of the ideas I have about building wealth through real estate, entertainment, media and other cultural enterprises. Enjoy! 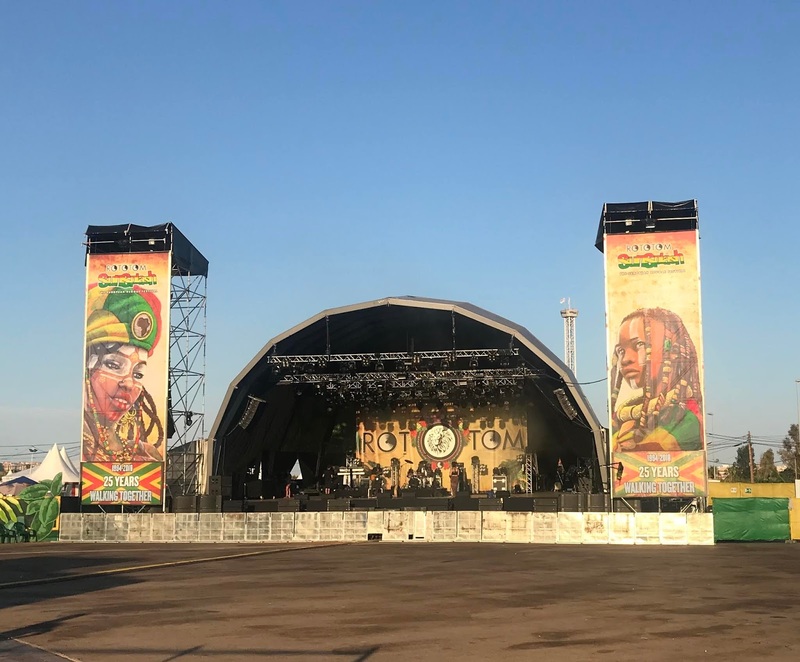 To attend the Rototom European Reggae Festival is to be granted what is apparently an exclusive privilege to witness the result of Jamaica’s colonization-in-reverse of some Europeans, Asians, Africans and a few other native peoples who have willingly subscribed to a lifestyle shaped and packaged through our music culture and rastafari livity. In this world, God is Jah, and the figures of Emperor Hailie Selassie, Marcus Garvey and Bob Marley loom large - gods and saints with global recognition. This is the world that Jamaica made. Jamaican culture has managed to do for almost nothing, what other nations and culture spend billions on accomplishing, which is cultural export and lifestyle adoption. This is a big deal. The problem is that not too many Jamaicans seem to appreciate this. I’ve now been in Spain for three days attending the 25th staging of the Rototom European Reggae Festival, this year being the 9th year in Spain after being held in Italy for 16 years prior. The display of Jamaican culture on show here is nothing short of mind-blowing if you’re Jamaican, because it is nothing like what you expect if you were born and raised in Jamaica. 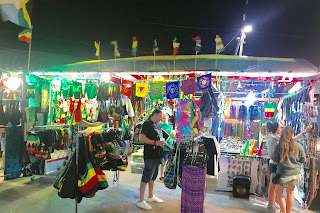 Not even in your wildest imagination are you able to fathom the total reproduction of a lifestyle you’ve lived all your life in a place that is so foreign - ironically in Spain, Jamaica’s first colonizer; and this experience is replicated around the globe wherever you find these Jamaica music festivals. What strikes me as I attend is what an incredible celebration of Jamaica this festival experience is, and quite without a majority of Jamaicans or Jamaican institutions having any administrative input. There is no Jamaican central government involvement, nor Jamaican agencies present, who incidentally are missing a superb opportunity for promoting the island in my view. There is no Jamaica Tourist Board, nor consuls in sight, and so far I have counted less that 8 non-affiliated Jamaicans among us, while 220,000+ non-Jamaican music fans (ska, dub, reggae, and dancehall music fans) gather for seven days in ritual and almost religious celebration of the world Jamaica made. This is simply incredible. This for me raises a philosophical question of the role of government versus the role of private capital in development. Because it appears that to date central government has been quite ineffective in taking advantage of several opportunities that present themselves. I don’t propose to have the answer here, but how effective could serious investors be with the right alliances/partnerships versus a dependence upon government or the state to lead on certain development initiatives? Rototom as it stands now is reportedly 96 percent self-funded, this is worth noting as we seek to determine appropriate responses. I don’t think for a minute that Jamaica’s position within the scheme of things is one that’s condemned to irrelevance as we move forward, even if in effect we are incidental to the world of reggae festivals outside of the island; but in the very same breath I’m mindful that if significant steps are not taken to be more dynamic participants in this ever evolving world of music and culture that was birthed on the island irrelevance is a foreseeable possibility after a few generations. Whether we choose to describe the current state of affairs as cultural appropriation or not, the reality of what we have before us is the full-blown Jamaicanization of whole swaths of people who have willingly submitted themselves to viewing the world through the lens and experiences that Jamaica has provided. The question in my view now is how in the scheme of things do Jamaicans not become incidental to the future of this global development of its many forms of music (ska, dub, reggae, and dancehall)? 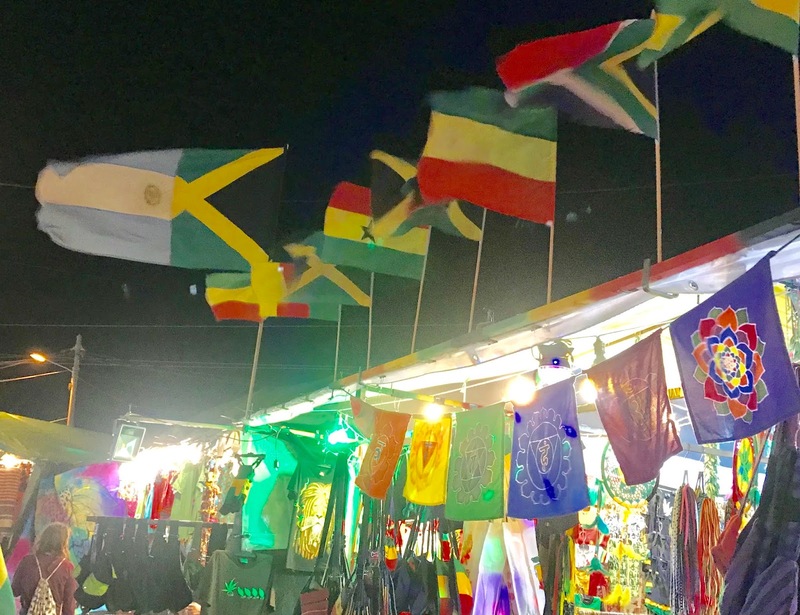 Jamaicans ought to begin to benefit economically from the global celebration of their Jamaican identity that has been shaped through bitter struggle. I think the time is calling for more sensible business partnerships to realize greater economic benefits for all.